Ok lls friends, thank you so much for your comments and emails about picking a fabric. after thinking further, I may just have to go for the pricey Missoni since I am slightly obsessed with it!! :) I think this will be a good investment since the chair was such a deal and the labor to recover the chair is not too much $. Which one of these do you like? ok lls friends, need your help. 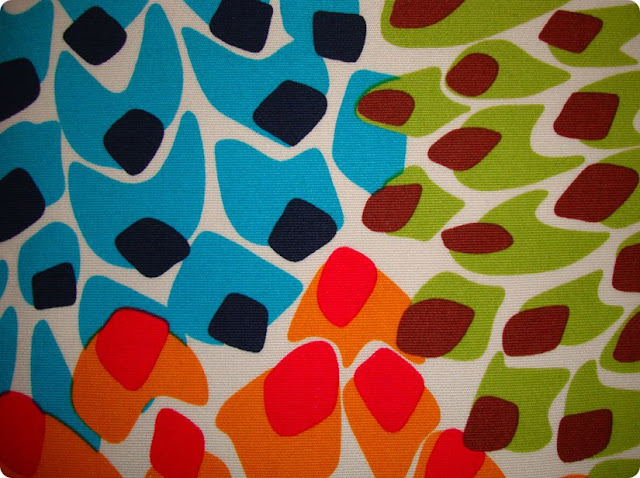 I am recovering my old plycraft lounger with one of these three fabrics but I'm not sure which one to go with!? The chair's current condition is not so hot and I am looking to update it with a fun and cool design style. Leave a comment and let me know which one of the above you are liking. 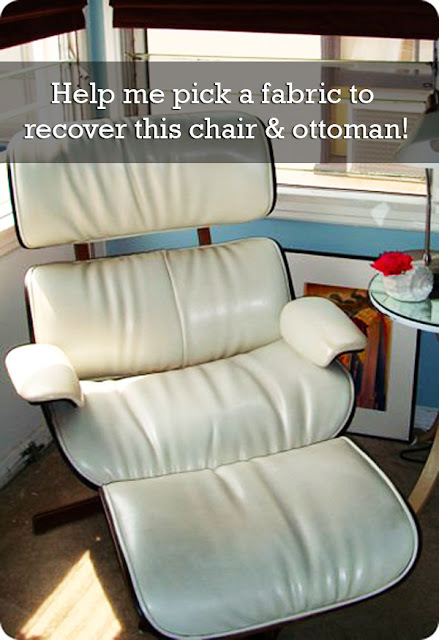 And to see a recovered lounger, check out this post I did a few days ago. The leaf pattern appeals the most to me. I think the other black and white pattern would be pretty dizzying on that chair. The orange pattern is so bright and cheery with the blue walls. Can you take so much color? I really like your lounger the way it is. Maybe a good cleaning or a new covering of leather is in order. Thanks for letting me give advice. 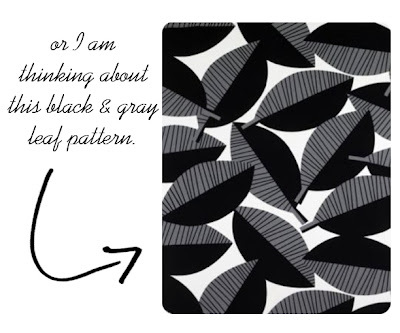 I'm thinking the leaf pattern would be a great pick. But it's definitely a toughy! I like it as it is too but I have been considering covering it for a long time and am going to go for it! The first one, for sure! 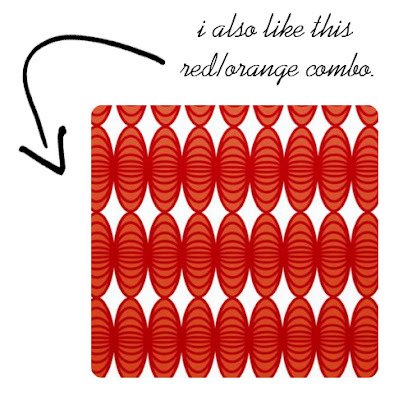 The orange/red one would be an eyesore if you change your decorating colors. As for the leaf one, I think it doesn't have enough of a modern yet classic feel that an Eames chair deserves. Wow a tough one. Black and white graphic very artsy, red/orange love those colors but it limits you when decorating, the leaf neutral enough, but I have to say the leaf is my favorite! Can't wait to see what you choose. I think I like the first fabric best... BUT if the second print came in black, grey and white then that would be my choice as it is the most retro out of all the prints and suits the style of the chair the most. 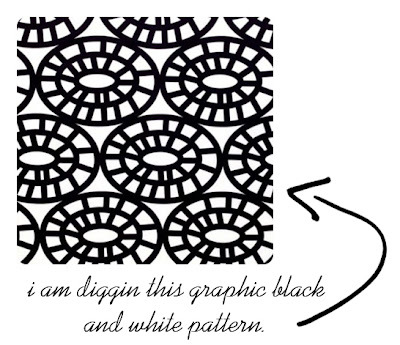 I love the graphic black and white pattern! Very cool. The orange is awesome too, it's just whether you might get tired of it. It's not as versatile. elena, thanks for sending links - very thoughtful! Yes, these are IKEA but I hadn't seen any of them since I haven't checked out their fabrics in a long time. I also don't believe in the literal definition of "trends" so if a million people have this fabric or no one has it - if I like it, I'll enjoy it. 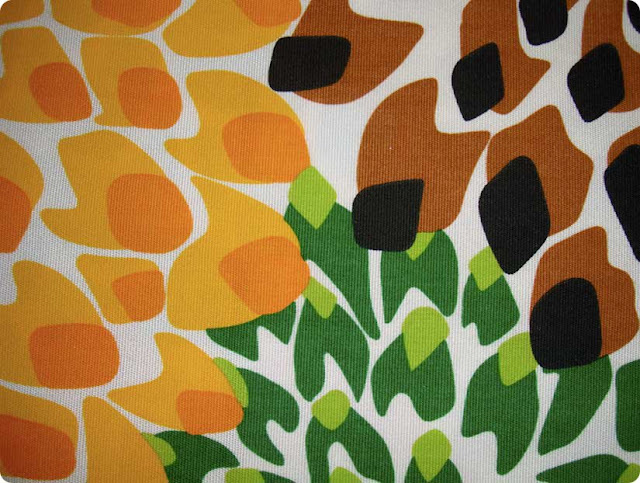 They're all really fun patterns, but I think the leaf pattern would look best with the tucks in the chair. I think the others, being such precise patterns might look almost *flawed? * for this chair. The graphic black and white is like a modern version of zebra "classic" print...which means it will not become dated as quickly as the red/orange. The leaf pattern is just not original enough for me. Hope this helps! You know what? I'm going to have to say the red and orange fabric. It's the most fun and it actually could be pretty versatile. Of course we could put everything in black and white and it would all match effortlessly - but where's the fun, challenge or inspiration in that? Plus, the whole concept that every piece of furniture, artwork or accessory has to be "matchy-matchy" is an old fashioned rule, in my mind. Choose whichever pattern makes you truly happy! The pink, blue & orange Missoni one. ok, so I guess I'd have to say 2. It depends. If you want to highlight the chair fabric - pick #1 (it's the gutsiest by far). If you want to highlight the chair's curvy lines - pick #2 (it's the safest by far). 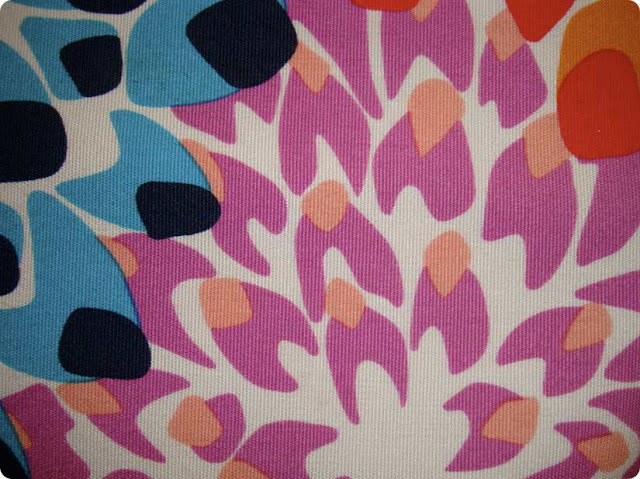 so looks like I am going with the 3rd Missoni fabric shown above. I am so excited! more to come!